The Wauwinet is home to one of the nation's most acclaimed restaurants, TOPPER'S, a favorite foodie destination set alongside the waters of Nantucket Bay. This Nantucket Insider favorite taps into the island's rich supply of fresh regional ingredients, from land and sea. TOPPER'S dining room offers a uniquely Nantucket feeling of elegant fine dining. If you seek more casual fare, you will love TOPPER's deck, where you can dine under a heated awning with views of the bay. 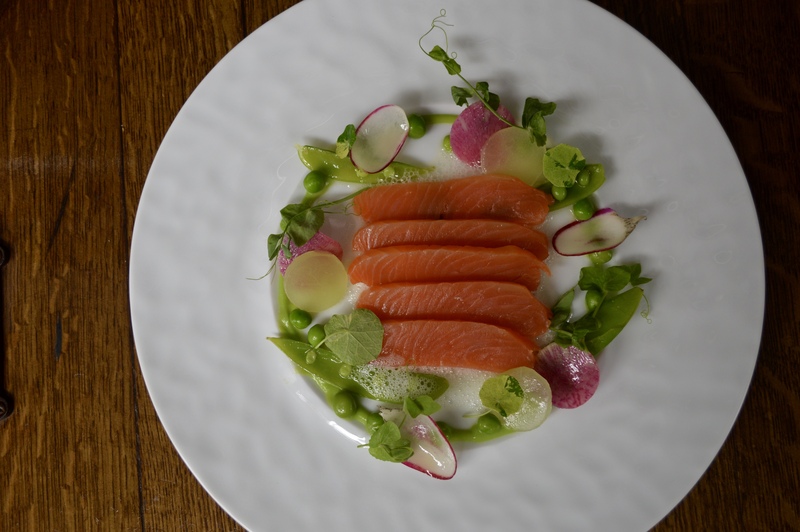 Nantucket Insider has sampled the summer menu this season at TOPPER'S, and it does not disappoint! 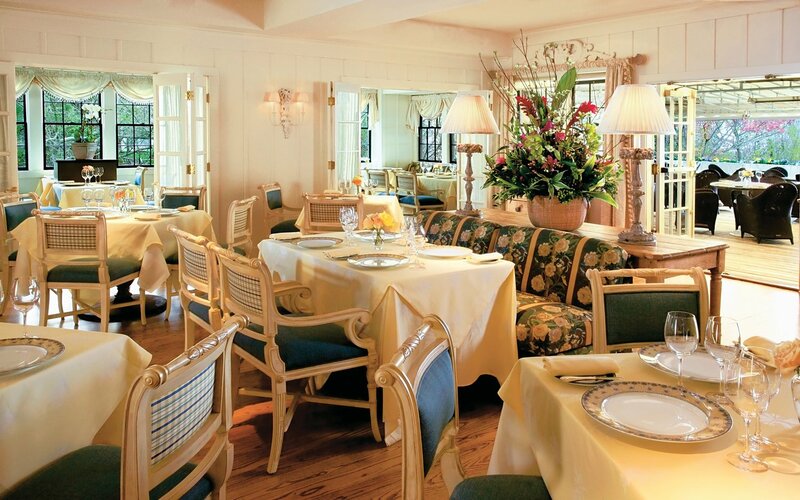 See below for a few of our favorite picks from both the dining room and the deck menus. 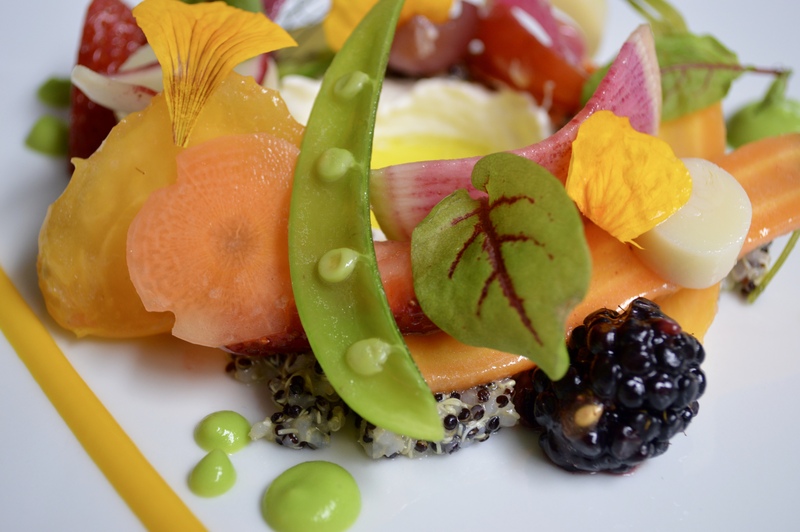 Summer Harvest Salad Various seasonal vegetables (may include and are not limited to heirloom tomatoes, squash, eggplant, beans, peppers, fennel, beets and carrots) are served raw, pickled, roasted or pureed along with seasonal berries, stone fruits, herbs and herb blossoms. TOPPER'S adds a crispy quinoa tuile (best described as a "cracker") for texture. The dish is rounded out with Stracciatella cheese, a fresh cow's milk cheese, made of small shreds of curd mixed with cream. This is the filling that you find inside of Burrata. 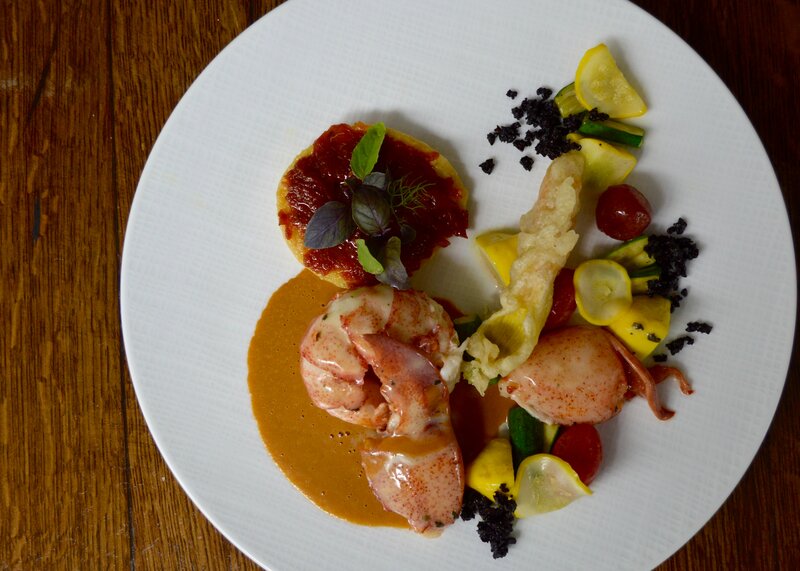 *Gluten Free, Nut Free, Dairy Free with modification, Vegetarian Seaweed Butter Poached Lobster The 1 ¼ pound lobster is first partially poached and the meat is removed from the shell and then poached in nori flavored emulsified butter. The lobster is served with an heirloom tomato tart (puff pastry topped with tomatoes cooked down to jam consistency and finished with sherry vinegar, topped with African blue basil, chive tips and thyme blossoms), glazed baby squash, pickled baby squash, marinated shaved baby zucchini, a fried squash blossom and a rich lobster bisque flavored with tomato and finished with Pedro Ximénez sherry. The dish is garnished with a dehydrated Kalamata olive crumble. *Gluten Free with modification, Dairy Free with modification. 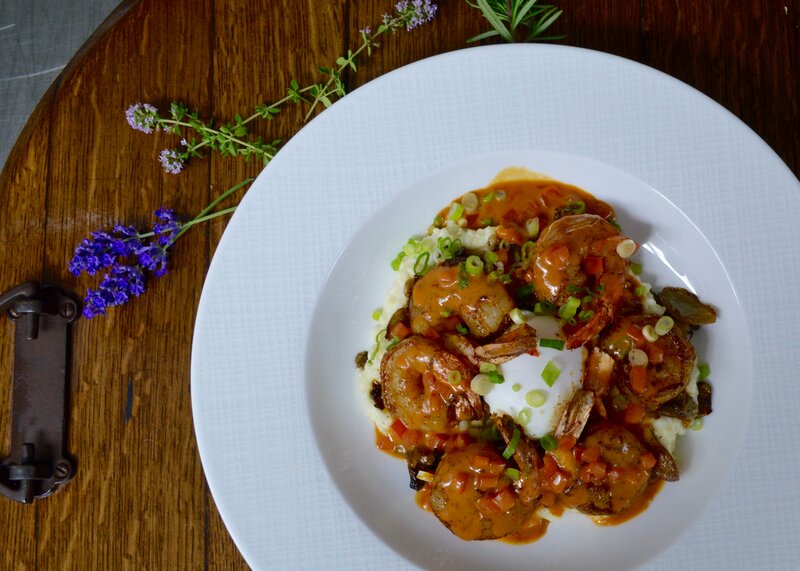 Shrimp & Grits White gulf shrimp are sautéed and served over Anson Mills white grits flavored with cheddar cheese. There is also a slowly poached egg, sautéed oyster mushrooms and country ham gravy (Edward's country ham, tomatoes, green onions, coffee, cream and butter). Roasted King Salmon Roasted king salmon is served on English pea risotto with glazed white asparagus, marinated pea tendrils and a charred ramp butter sauce. To reserve your table at TOPPER'S call 508-228-8768 or click here.